"You are my Father" Father's Day card. 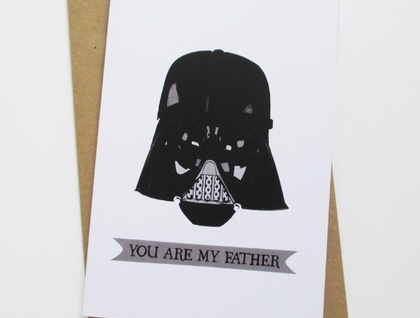 State the obvious with this cheeky, Star Wars inspired Father's Day card. Digitally printed card on high quality, FSC certified, card stock. A6 size (when folded), comes with a kraft envelope in a cellophane sleeve.